Welcome to Week 4 of the One Room Challenge! This week, the rugs arrived. And, well, it sure was interesting! The rug. Let’s start there. The one I chose is beautiful. I mean seriously gorgeous. And even more so in person. Getting it here though, was interesting to say the least. Warning, the story is long and more like a sitcom than a real life experience, but I thought I’d share it with you anyway. If you want to skip to the progress after the rug drama, I completely understand! Coordinating the ordering and delivery of these items from 1000 miles away is a daunting task to say the least. But, the following adds some difficulty to this task. The loft is in a secure building, which has restricted entry. Delivery drivers have access and they leave deliveries at the front door. Seems simple enough. Except, when there is a ‘typo’ from the shipper on the shipping label, which turns out to be a legitimate address. What are the odds! Okay. Deep breaths. Have they been stolen? There are four residential buildings on the property in Boulder. Tony checked all of the units which have our same unit number. They were not at any of those locations. Did I mention Jaipur Living was at High Point Market and I did NOT want to bother them? Next, Tony called the shipper and informed them of the situation. They asked him to verify the address. He did. They indicate that it DID NOT match what they had in their system. And, for security, they could not disclose as to where the rugs were delivered. Great. Now, we began to panic a little. We finally contacted the vendor and advised them as to the status of the delivery. We all verified addresses and they matched. So, the error was on the shipper’s side. But, they were refusing to tell us the address as to where the rugs were located. Several days passed, and we thought everything was straightened out. We still had no idea where the rugs were, but we trusted that the shipper did. A new delivery date was set, but no rugs showed up. Tony then called the shipper once more and had a conversation with them regarding the above. Somehow, some way, he convinced them to share the address with him. He is in sales, so apparently he used his skills! Now, we had something to work with. The address was about two miles away, but Tony didn’t have a car with him. Luckily he has nice co-workers and one of them, Dara, drove him to the location where the rugs were delivered. Upon arriving, they saw three units, and none with our unit number. So they began knocking on doors. A gentleman answered the first door and told Tony the rugs were delivered there. In truth, “delivered” is a stretch. The rugs were left on his lawn. “Tossed” would be more accurate. This individual had notified the shipper that he did not order the rugs. The shipper told him they will return to pick the items up. Which they did not. Days had now passed from the original delivery of the rugs. The gentleman told Tony that he took them to a brick and mortar location of the shipper. Tony and his co-worker then drove to the location where this gentleman brought the rugs. Upon entering the store, Tony was greeted by the assistant manager. Tony explained what had happened and the assistant manager brought Tony around the corner and pointed to two rugs standing against the wall. He also told Tony that the rugs were sitting on the sidewalk when he arrived at work that morning and that two men were attempting to steal them when he stopped them and brought them inside his store. 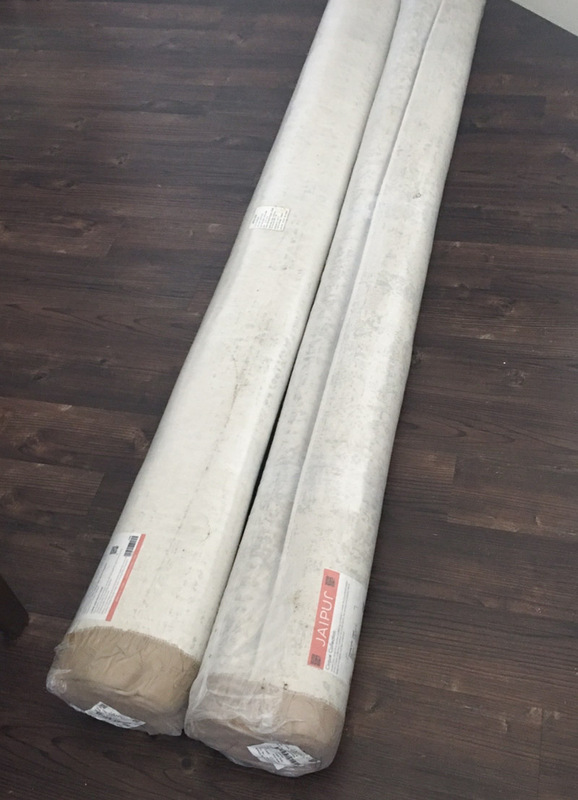 Today, both rugs are safe and sound inside our Colorado Loft. 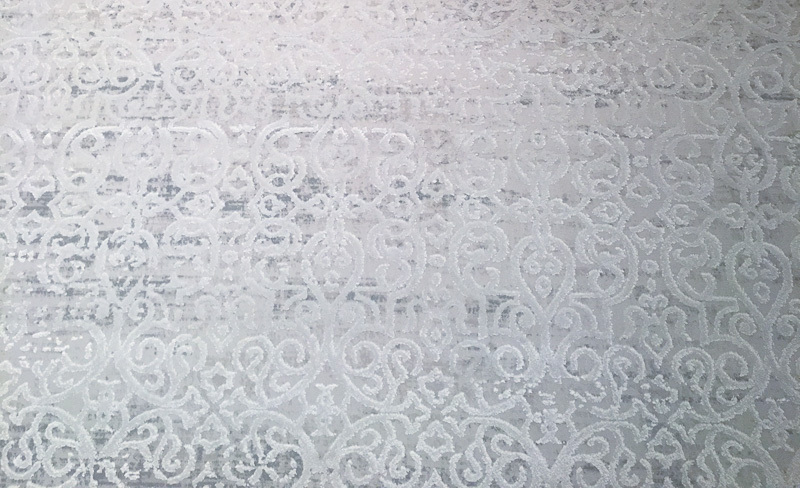 And a sneak peek of the bedroom rug by Jaipur Living. 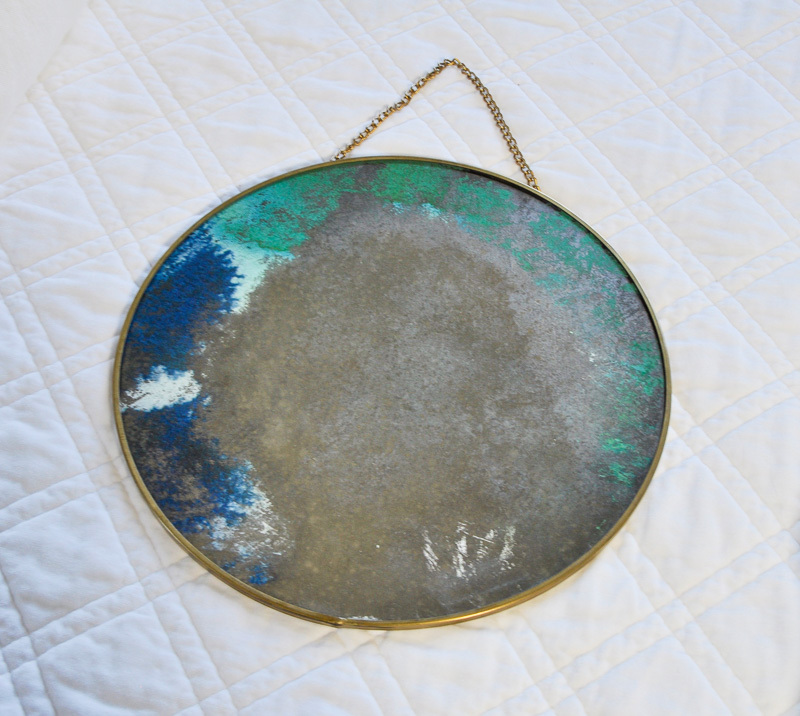 I also grabbed this pretty colorful one for the hall to the bathroom. It’s actually for our sweet girl Haley who only has three legs and will sometimes slip without a rug to keep her steady. She approves. Another interesting story. (Don’t worry, I won’t bore you with the long version of this one). It’s slightly different that the one on the design board, but when I couldn’t get that one, Lighting Design and Crystorama helped me out. Thank goodness! Here she is. I’ll tell you more about her next week. As a reminder, here is my design board. 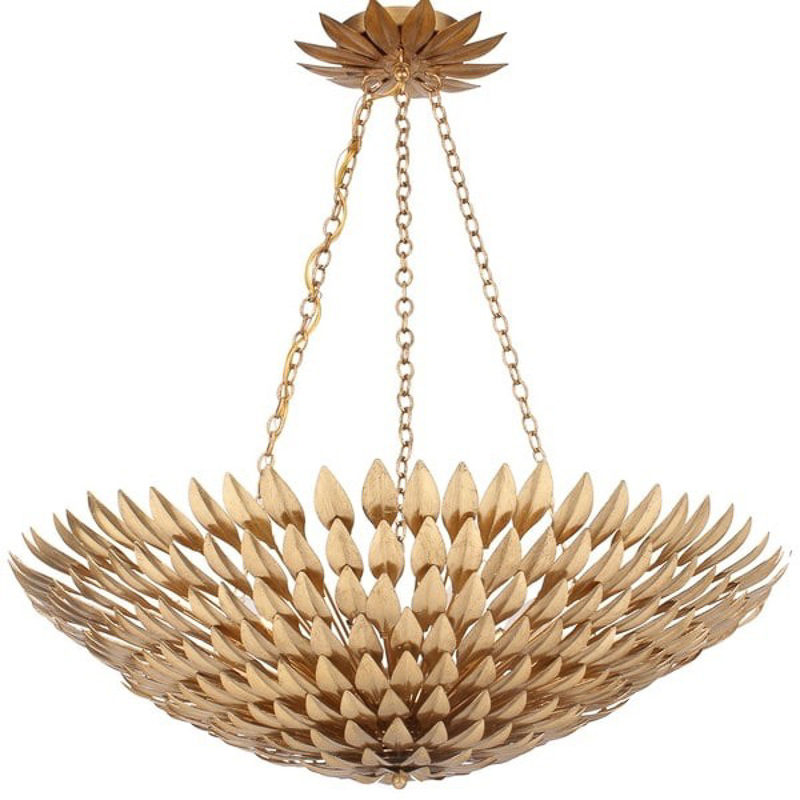 The new chandelier and the one I originally chose are very similar, right? I also got a few more accessories including this mirror. This blue vase was a great find. And one more vase, this white one by Vietri. So cute! 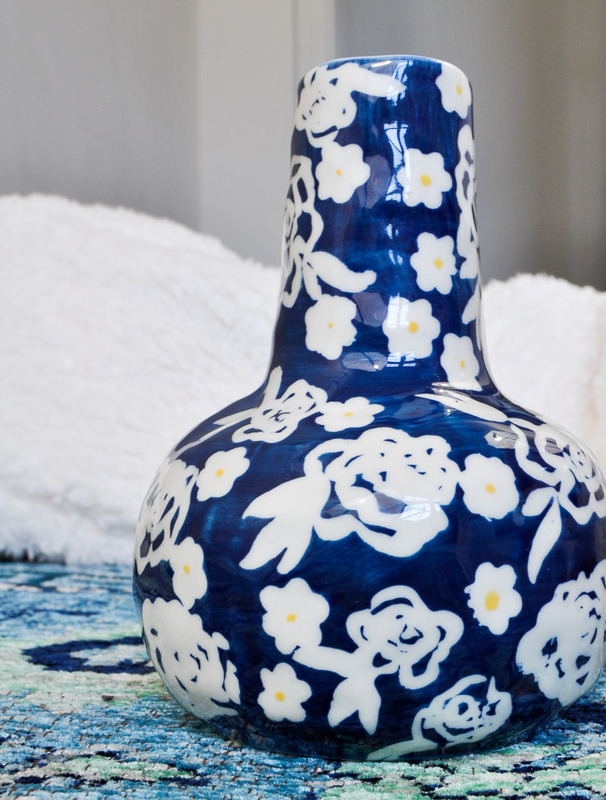 Every room needs a great white vase. 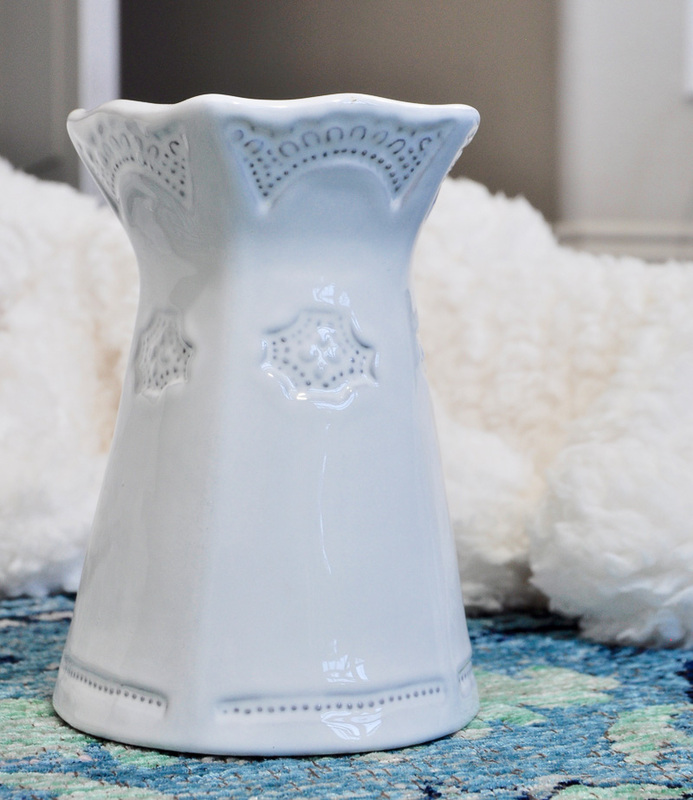 You can see another gorgeous Vietri vase HERE on my holiday table. Needless to say, Week 4 was an interesting one. I definitely learned a lot about long distance decorating! Here’s to hoping for smooth sailing from here on out. 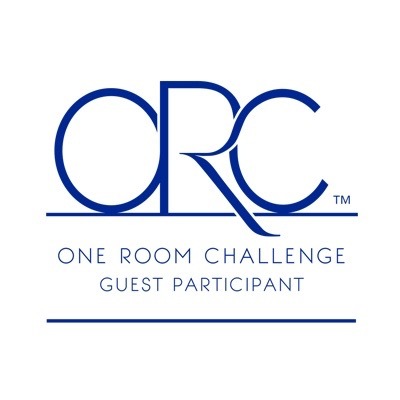 Also, before I forget, the One Room Challenge Reveal is now November 16. An extra week was added to accommodate those with issues related to natural disasters. I hope you will continue to follow along! That’s quite a rug story! 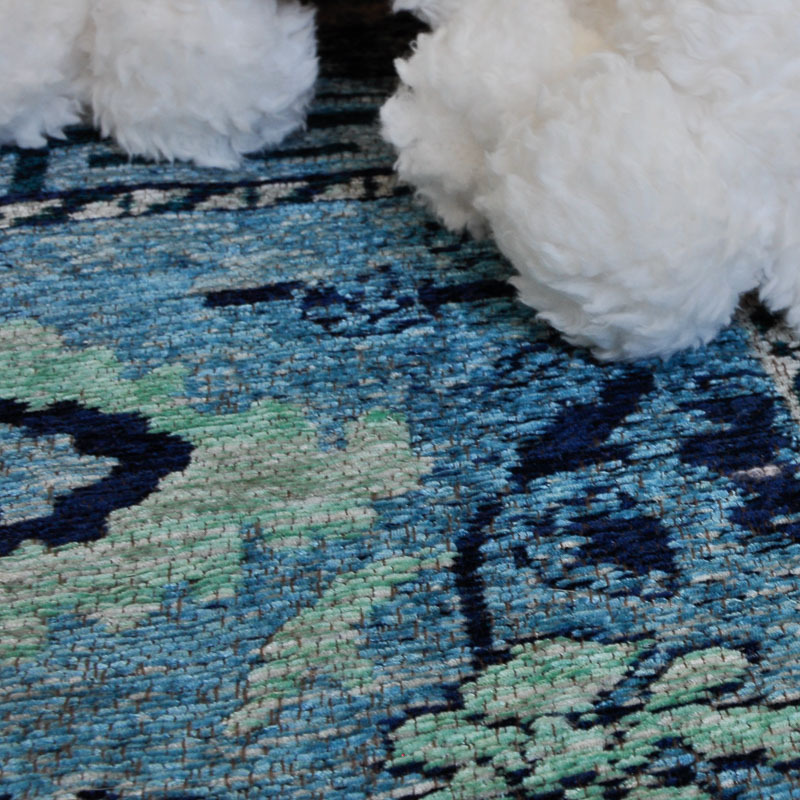 The rugs are really gorgeous so it was worth the hassle (easy for me to say)! And the light fixture is glamorous! Jen this is going to be amazing!! 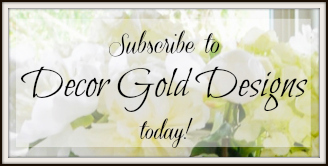 Your colors are absolutely stunning and I love seeing you jump into a rich color palette like this! And I’m dying over that light!! Jen I had no idea you had so much rug drama going on this past week!! Definitely makes for a good story 🙂 I just adore the colors that you’re using in the space and am loving watching it come together! the colours are beautiful! I cannot wait to see it all finished….so exciting! What’s amazing is that the rugs didn’t get damaged with so much going on! That was a nightmare. I’d say it was well worth the troubles because the rugs look gorgeous. I love the colors you are using. Just stunning. Oh my goodness!! So glad you found it, finally. I can’t believe people (more than one) just dumped them off…amazing. I am so happy for Haley that you found them. Can’t wait to see what you do next week!! Love all the blue you have in the decor choices. 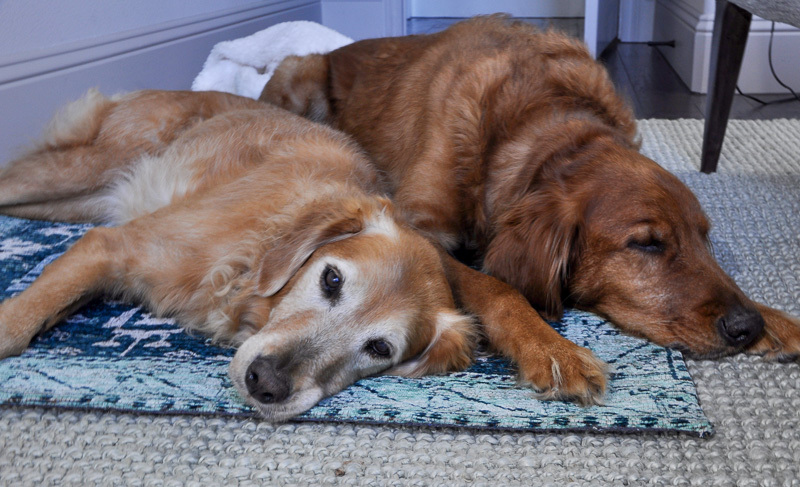 That rug is gorgeous! 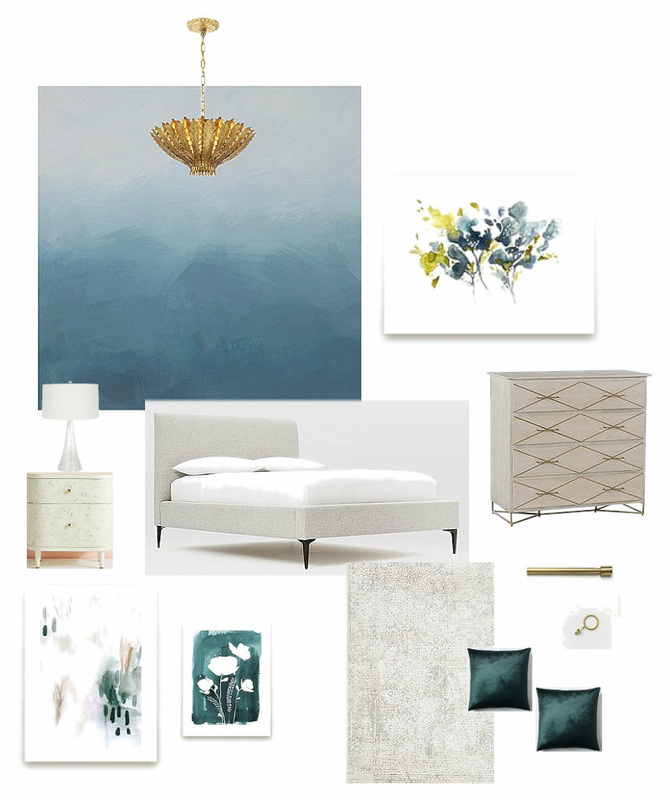 Can’t wait to see how this bedroom turns out! What a nightmare trying to get the rugs delivered! I can relate a bit— we are building a lakehouse in Georgia and we live in okla. I have to Time the deliveries just right! Can’t wait to see the finished loft.